Swedish Match develops, manufactures, and sells quality products with market-leading brands. With our vision “a world without cigarettes”, we are dedicated to improving public health by offering attractive alternatives to cigarettes. The Company’s product segments include Snus (incl. nicotine pouches without tobacco) & Moist Snuff, Other Tobacco Products (chewing tobacco & cigars), and Lights (matches and lighters). 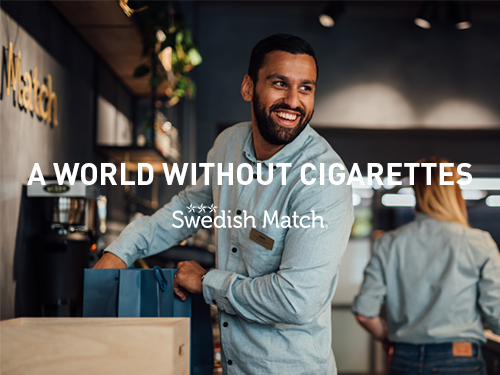 Swedish Match is one of the largest companies in Sweden and the Group sells products across the globe, with production units in seven countries. The Group’s global operations generated sales of 11.7 BSEK for 2017. The Swedish Match share is listed on Nasdaq Stockholm (SWMA).